Wyoming LLCs combine the protections of a corporation with the tax advantages of a partnership. 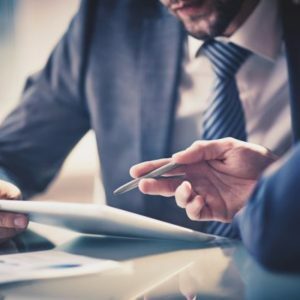 Incorporating an LLC in Wyoming offers extensive confidentiality for the directors and shareholders as there is complete privacy regarding who owns or runs the corporation. Wyoming state does not share taxpayer information with the Internal Revenue Service. In some cases an LLC is not the ideal solution. We use an Inc instead. Company names must be unique and not deceptively similar to other company names registered in Wyoming. We are able to check that your proposed company name is appropriate. Limited Liability Company names must end with the suffix LLC or LC and Incorporations must end with the suffix Co, Corp, Inc or Ltd. It is also possible to use the full word rather than the abbreviation. Certain words such as Bank, Mortgage and Loan require approval from the Department of Financial Regulation to use. Companies require a registered agent and a registered office where the Secretary of State and other official parties may send legal documents. Companies are not obliged to have their registered office in Wyoming. If the company’s registered office is in Wyoming you may act as your own registered agent, however, if it is outside of Wyoming we can provide you with a resident agent as part of our Corporate Administration Package. Only a single director, of any nationality or residency is required to incorporate in Wyoming. Only a single shareholder is required and corporate shareholders are permitted. For LLC and C Corporations shareholders may be of any residency but S Corporations require a resident shareholder. There is no requirement to file shareholder registers with the authorities therefore shareholder details are not publicly available. There is no minimum share capital requirement in Wyoming. There are no requirements to keep accounts, appoint auditors or file annual financial statements. There is also no obligation to file annual returns but all companies must pay the annual registration fee which is approximately USD 50.